China appears set to resume space launches following a break for the Chinese New Year period, with a Long March 2D rocket ready to lift-off from Jiuquan on Saturday. 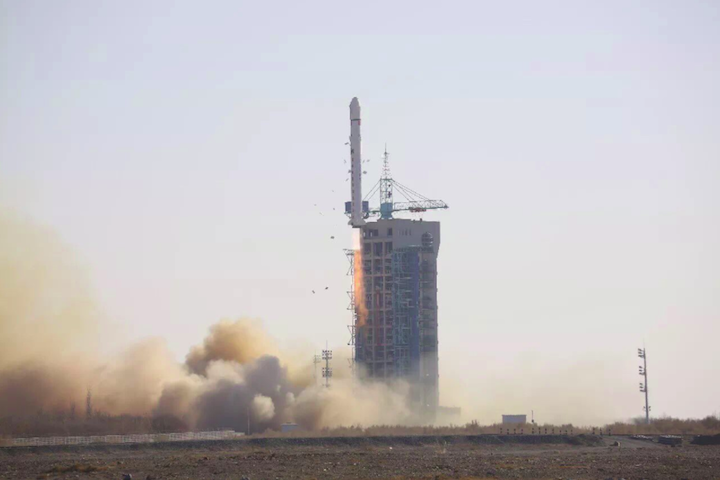 Airspace closure notices released on Wednesday reveal that launch will take place around 07:10 UTC (15:10 Beijing time), suggesting that the payload will be the fourth in a series of 'Land Survey Satellite', the third of which launched during a similar launch window in January. Little is known about the satellites, the first two of which were launched in December. While Chinese media tersely state the satellites are 'remote sensing exploration of land resources', some outside observers suggest they belong to the Yaogan series of remote sensing birds, and are therefore providing reconnaissance capabilities for the country's military. They are developed by the China Academy of Space Technology (CAST), which researches, develops and manufactures satellites and spacecraft and is a subsidiary of the state-owned main contractor for the Chinese space programme, CASC. The Long March 2D rocket arrived at the Jiuquan Satellite Launch Centre, also the site for launch of China's Shenzhou human spaceflight missions, in late February. Delivery to Jiuquan in the Gobi Desert followed a week-long 3,000 kilometre train journey from the east coast, after manufacture by the Shanghai Academy of Spaceflight Technology (SAST), another CASC subordinate. The launch on Saturday will be China's eighth of 2018, with 36 Long March launches planned for the year. Together with other, commercial launches, the country could reach over 40 orbital flights this year. China aimed for around 30 launches in 2017, but two launch issues - notably the failure of the second Long March 5 rocket - halted activities for 89 days and derailed the schedule. The third Long March 5 is expected to fly in the second half of the year, following an investigation, corrective measures and rocket engine testing. The upcoming launch will fly over land, with drop zones for stages and payload fairing in remote regions of the provinces of Qinghai and Sichuan. 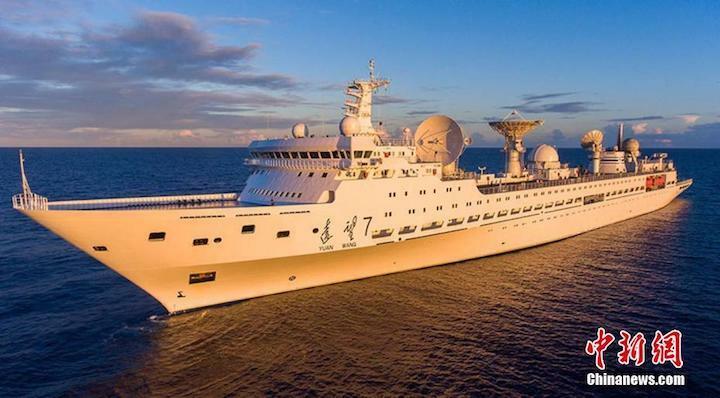 Chinese space tracking vessel Yuanwang-3 has left port in east China ready to support upcoming launches of a pair of Beidou navigation satellites and a commercial telecommunications satellite. Yuanwang-3 departed from a military harbour on the Yangtze River on March 12, the People's Liberation Army Daily reported on Tuesday. The Yuanwang vessels belong to the China Satellite Launch and Tracking Control General, which is responsible for telemetry, tracking, and command for Chinese space missions. The first task for Yuanwang-3, which was active earlier in the year, will be to support the launch of two Beidou phase 3 satellites, which will join a constellation of satellites which form China's own Global Navigation Satellite System, Beidou, similar to America's GPS, Russia's GLONASS and Europe's Galileo systems. The satellite duo will launch in late March on a Long March 3B rocket from the Xichang Satellite Launch Centre in Sichuan Province in the country's southwest, for direct insertion into medium Earth orbits with a Yuanzheng-1 upper stage. A total of 10 launches of Beidou navigation and positioning satellites are planned in 2018, with eight of these to loft pairs of Beidou satellites to medium Earth orbits. Two such missions have already been carried out, with boosters both times landing in populated areas downrange. Following this will be the launch of a telecommunications satellite for APSTAR. This is due to launch to geostationary orbit in mid-to-late April, following the satellite's arrival at the Xichang Qingshan Airport on March 9. The APSTAR-6C satellite is based on a DFH-4 satellite platform developed by the China Academy of Space Technology and will be equipped with 45 transponders in C, Ku, and Ka bands, providing VSAT, video and other services for Asia-Pacific region customers. It will also be launched by three-stage hypergolic fuelled Long March 3B rocket with four strap-on boosters. Precise details of China's reliably nebulous and opaque launch schedule are slowly emerging. Newly released airspace closure notices revealed today that China's eighth launch of the year is set for Saturday. 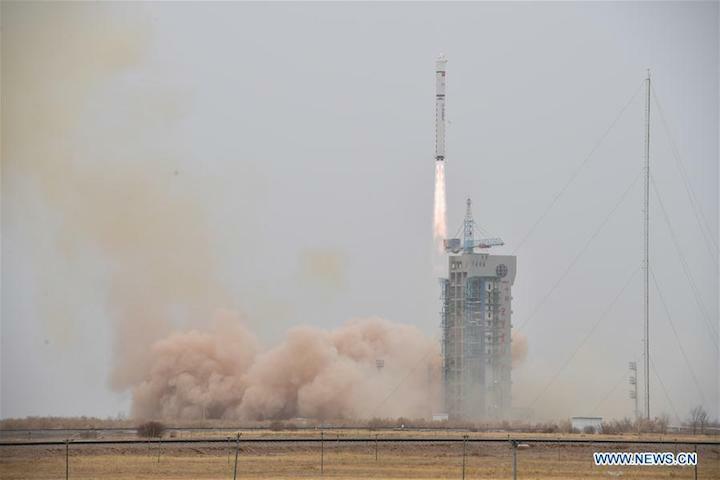 The mission involves sending a remote sensing 'Land Survey Satellite' into a 500 km altitude orbit inclined by around 98 degrees from the Jiuquan Satellite Launch Centre using a Long March 2D rocket. Other possible launches in the near-term include the Pakistan Remote Sensing Satellite (PRSS-1) from Taiyuan, and a number of Zhuhai-1 satellites for Zhuhai Orbita Control Engineering Co.,Ltd. The launch will be via a Long March 11 light solid rocket, carrying one OVS-2 video satellite and four hyperspectral satellites. 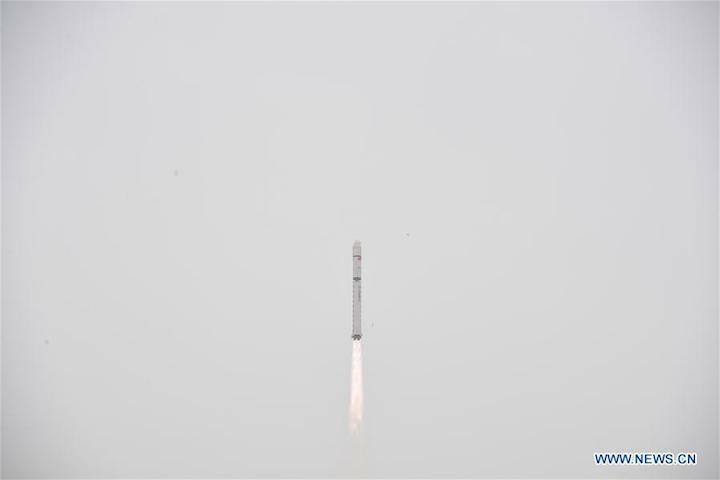 JIUQUAN, March 17 China launched a land exploration satellite into a preset orbit from the Jiuquan Satellite Launch Center in the Gobi desert of the country's northwest at 3:10 p.m. Saturday. The satellite is the fourth of its kind and mainly used for exploration of land resources by remote sensing. A Long March-2D rocket carried the satellite into space. The launch was the 268th mission of the Long March rocket series.